Express Technology Group is a worldwide industry leading distributor of TT Electronics / Welwyn parts. We carry all types of TT Electronics / Welwyn parts resistors, sensors, connectors, and many more. You can use our global part search utility to check stock and request a quote online and a sales associate will contact you promptly. Our sales reps are here to help you with all your TT Electronics / Welwyn needs Monday through Friday, 8:30am to 6:00pm (EST) or call (631) 869-2035 for immediate assistance. Within TT Electronics’ resistors business unit are multiple manufacturing facilities and dedicated engineering teams providing custom solutions. BI Technologies, IRC and Welwyn are market leading brands within this group, each with a track record in resistive component innovation of over seventy years. 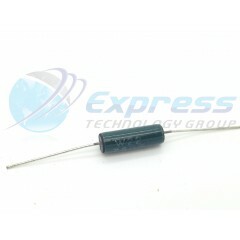 RESISTOR, WW 7W 5% 750R.. . . .